Every year new sites, entertainment outlets and famous people look for attention and try and have a little fun on April Fool’s Day. It doesn't always work! Most articles are so lame that they don’t fool anyone and the only reaction is a collective groan. Sometimes, they are rude, insulting, juvenile or just plain stupid. Occasionally, they strike gold. 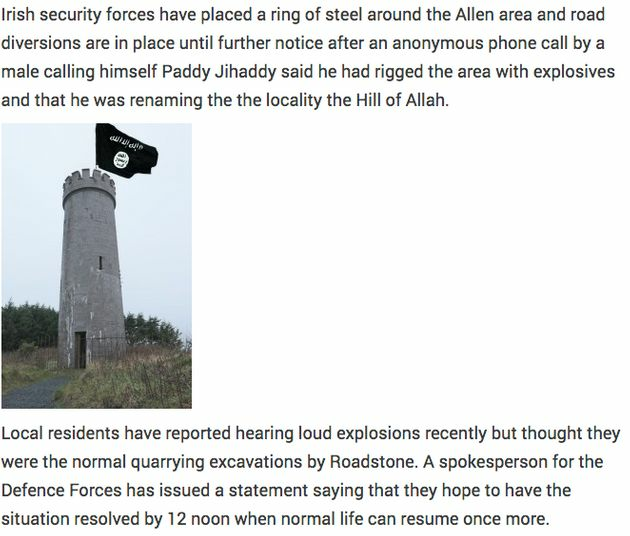 An article on the KildareNow news site, as reported in the Huffington Post, alleged that an “anonymous phone call by a male calling himself Paddy Jihaddy said he had rigged the area with explosives and that he was renaming the the locality the Hill of Allah”. The article has since been removed with the company claiming that the article was published by someone without the authority to do so. "KildareNow would like to apologise unreservedly to everybody who was rightly offended by the article which was extremely insensitive especially in light of recent tragic events in Brussels and elsewhere. Google claimed in a press release to offer users the last word in any email discussion by using the Mic Drop button that automatically added a Minion gif as well as ending the discussion. However, the tool had bugs, was too close to other buttons like Send & Archive and some users claimed to have lost their jobs. Google quickly removed the button and issues apology claiming the new tool caused more headaches than laughs. "We love April Fools jokes at Google, and we regret that this joke missed the mark and disappointed you”. The company with the most popular phone after Apple decided to go retro with it's latest release; a phone the size of a phone book. A cuddly unicorn toy, made of moon dust. My Unicorns and Imaginary World magazines delivered to your door as if by magic. Spell book, crystal ball, rainbows, sparkles and more. However, the Fool had a more serious message as it was really an appeal to save the black rhino. “It has often been thought that myths about unicorns were based on sightings of rhinos, which are now threatened with being consigned to nothing but our imaginations”. 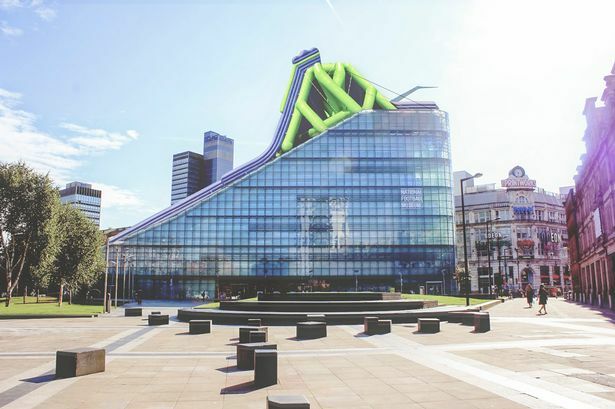 The National Football Museum in Manchester has a distinctive slope that would be perfect for slide. However, those brave enough to try it must sign a waiver 'in the case of an accident' declaring that 'any damage to me or my body, including death and worse, is not the responsibility of the organisers or anyone else'. Again, another organisation using April Fool’s Day to increase awareness; in this case to the fact that over 1.5million women do not have access to a toilet during their period. Last year they had a campaign “If men had periods” so this year they launched the Manpon. However, the fun stopped in China with state news agency reporting that it “does not conform with our nation’s cultural traditions, nor does it conform with the core values of socialism”. “Don’t believe rumours, don’t create rumours and don’t spread rumours." Wise words. Maybe some people should listen to them next year!